As you know, I love saving money and I love doing things. Usually these things don't go together, because doing things costs money and doing a lot of things costs even more money, but Smart Destinations allows you to both do things and save money. Budget travelers rejoice! A bit ago I wrote about how I'd use Smart Destinations to do all the awesome things I wanted to do in Philly, but I was lucky enough to work with Visit Philly on this trip and instead had a full 12 hours to spend in San Francisco with Eric and my friend Nancy. We had two one-day Go Cards and we're determined to make the most of our time. Now, 12 hours isn't a huge chunk of time (except for a layover when you have nothing to do), but we went in hoping to do 3 things on our list. Eric and I have been to San Francisco before, but we've never been to Golden Gate Park and decided to start there. I found a great Oceanside restaurant to grab lunch on the edge of the park and then we drove down the way to the San Francisco Zoo. Admission was included in our Go Pass, so our only cost was for parking ($10). I wouldn't say it was the coolest zoo we've visited (especially considering not everything was open on a Thursday), but it was one of the more interesting. There were animals we hadn't seen at other zoos, like a two-toed sloth, and you could get closer to many animals than you could other places. I was two feet away from a bunch of penguins. 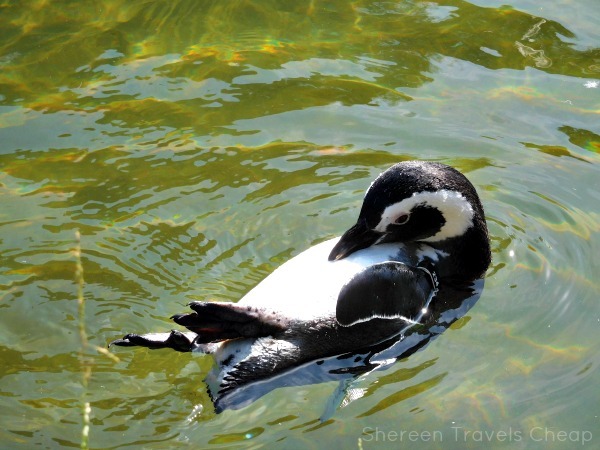 We spent a lot more time than expected there, and there were supposedly gardens there that we didn't see, but the rainforest and the aviary we're both worth a little extra time to explore. 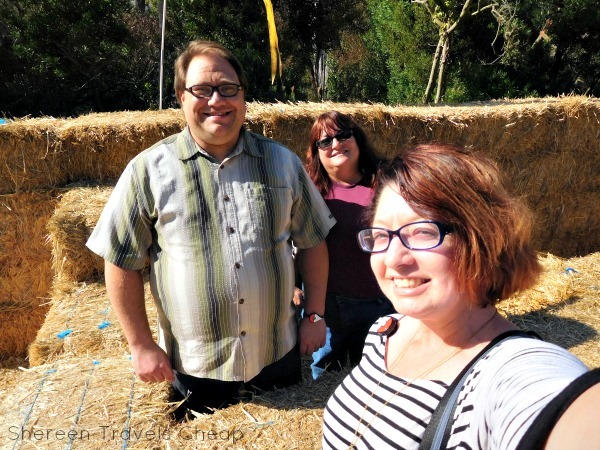 During the weekends this month they have an Oktoberfest food truck pod, they also have a fun day maze for kids, that we couldn't resist running around in. We're fun like that. After the zoo, we drove through the Park to the waterfront and Fisherman's Wharf. 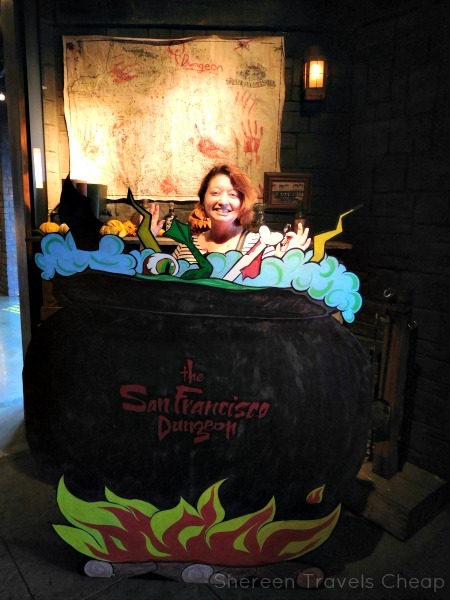 Nancy had never been to the San Francisco Dungeon and always wanted to and we had only been to the one in London. Unfortunately you can't take pictures inside the Dungeon, but it's all dark anyway. This is the closest thing I'll get to a haunted house, and it's not even scary, despite them wishing us all "Have a horrible time!" 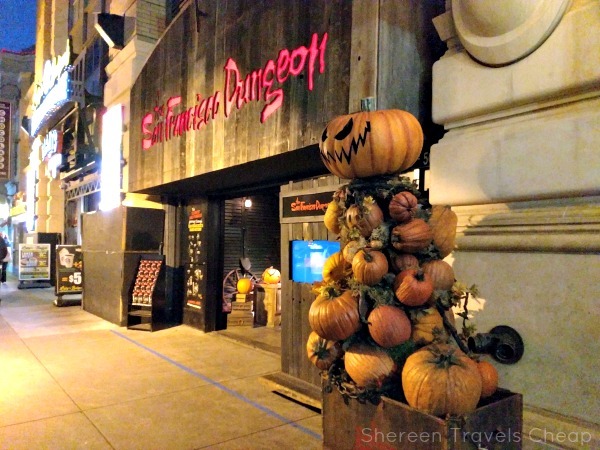 The Dungeon claims to tell the sordid history of San Francisco, but I'm not sure I learned much. You go to the Wild West and visit a courthouse, where everyone is proclaimed guilty, you visit a "doctor" that tells you about the plague in the city and announces you all have it, then you move on to a haunted room where a seance happens and spirits move things, and last you move on to Alcatraz to hear about a crazed criminal. The Alcatraz bit is the best part, due to the awesome actors. And at the end you get to "escape" from Alcatraz on the dumbest ride you've ever been on. Every Dungeon has a lame ride somewhere in it. London has a "boat ride" that goes about 30 feet. This one goes up 14 feet and then drops back down. Ha! It took longer to get in than to do it. Somewhere in between you enter a mirror maze, which I made my friend hold my hand through, but nothing jumped out at us or scared us in any way. 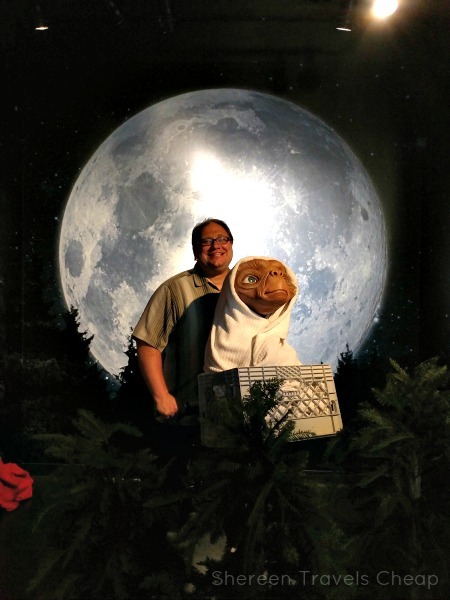 Aside from that, I found the whole experience hilarious rather than scary or "horrible"...unless you paid full price maybe. Look online for a discount coupon or use your GoCard, which I highly recommend. 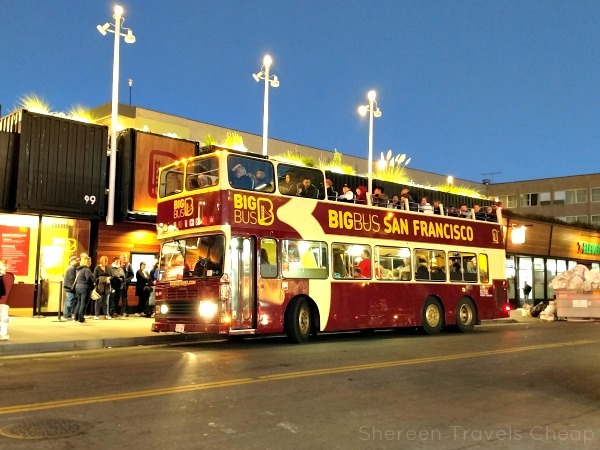 Right next door to The San Francisco Dungeon is Madam Tussaud's Wax Museum where there are three (small) floors of famous celebrity figures, including historical figures like Rosa Parks and Martin Luther King. We took pics with all the greats like President Obama, Johnny Depp and Michael Jackson. Amid the figures, which are sometimes disturbingly realistic, you learn about the process that Madam Tussaud used to create her wax figures and how they are made today, step-by-step. 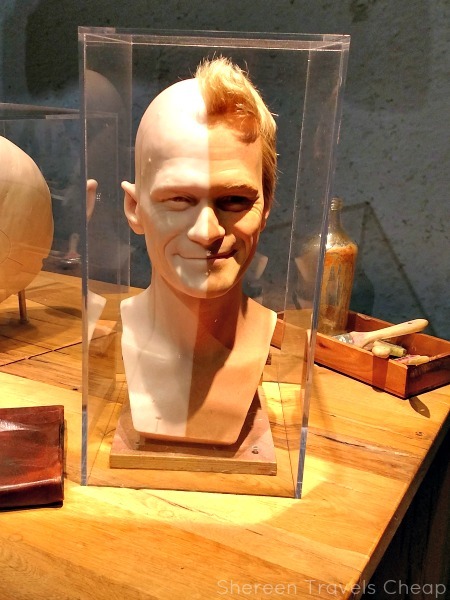 Check out how Neil Patrick Harris looks in different stages of the process. That list is huge! If you can't find enough stuff on the list to make your vacation awesome, you just aren't trying. Choose 1-, 2-, 3- or 5-day passes or create your own pass (but you will save less if you do it this way). The more you do, the more you save, and with All-Inclusive Pass (what we used), you can save up to 60% off gate prices. How can you say no to that? You buy one card for each member of your travel group. They start at just $74, but there's definitely one that fits your travel style and length of trip. 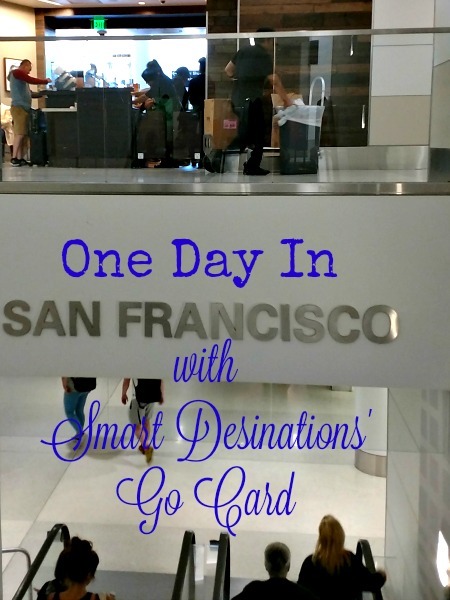 Get your Go Card for San Francisco, or any of the other city's that Smart Destinations works with. Purchase by 10/31 and save 10% off as well! How would you spend one day in San Francisco? Disclaimer: I was given two 1-day all-inclusive cards from Smart Destinations as a promotional special and for the purposes of this review. As always, all opinions are 100% my own. This post also includes affiliate links which will result in monetary compensation if you purchase through said links. Thanks in advance.